This is the season when many students are buying new laptops. Unfortunately it is also the season when some of these new laptops are damaged, lost, or even stolen. Here are some laptop security solutions to protect your investment. I never use a laptop bag, anywhere. On the way to work, at an airport, wherever you are, these bags scream “there is something expensive inside, please steal me”. By contrast, the dirty old rucksack I use makes people think I can’t even afford a laptop. Perfect. Soft laptop covers give some protection against scratches and knocks. Definitely a worthwhile investment. Mac users seem particularly well catered for in this area, with a range of hard plastic covers available for various models, which offer much more strength than a soft cover. My school uses Survivor Extreme-duty military grade armor for iPads. 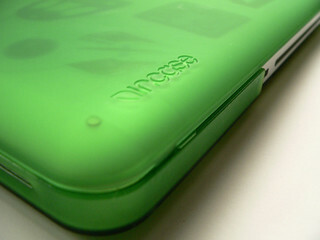 It is weather proof and dust proof, and can protect the tablet from a fall of up to 6 feet. I know it really works because I accidentally dropped one the other day (oops). Kensington locks consist of a strong steel cable, one end of which fits into the Kensington connector found on most laptops. The other end is then attached to an immovable object, such as a desk, and locked tight. Kensington locks are a good deterrent to casual theft of portable equipment. Most portable devices and peripherals, including printers, scanners, and external hard disks, have a Kensington connector somewhere on their cases.